On June 29th, we’re proud to be hosting a Coworking Day in Kaliningrad. Come join us for a day of working on Toptal client work, sharing ideas, and talking about the latest trends in technology. 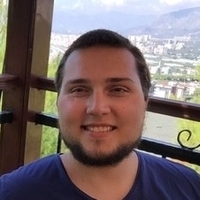 This event will be a great opportunity to meet fellow Toptalers, including Toptal developer and Community Leader for Kaliningrad Oleg Polivannyi. If you happen to be in the area between 10:00AM and 6:00PM that day, make sure to drop by and say hello. Feel free to bring a guest if they would enjoy meeting the community, or learning more about the company.